The Boxer Rescue, Inc. All Rights Reserved. The Boxer Rescue, Inc. makes no claims, promises or guarantees about the accuracy, completeness, or adequacy of the contents of this website and expressly disclaims liability for errors and omissions in the contents of this website. The information on this site is provided “as is”. No warranty of any kind, implied, expressed or statutory, including but not limited to the warranties of non-infringement of third party rights, title, merchantability, fitness for a particular purpose and freedom from computer virus, is given with respect to the contents of this website or its hyperlinks to other Internet resources. Reference in this website to any specific commercial products, processes, or services, or the use of any trade, firm or corporation name is for the information and convenience of the public, and does not constitute endorsement, recommendation, or favoring by The Boxer Rescue, Inc. The Boxer Rescue, Inc. has not reviewed all the sites that may be linked to its sites and is not responsible for the content of any off-site pages or any other sites linked to these sites. Linking to such sites is at your own risk. 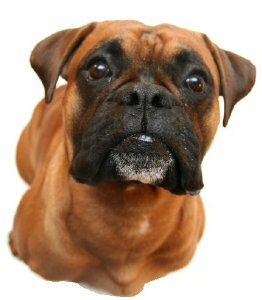 The information presented on this site or broadcast from this site with website software by The Boxer Rescue, Inc. is for information purposes only and is not meant to serve as a substitute for professional medical, legal, or financial advice which should be obtained through consultation with appropriate professionals in your state. The Boxer Rescue, Inc., reserves the right to make additions, deletions, or modifications to the information contained on this site at any time without prior notification. Any and all personal information provided to The Boxer Rescue, Inc. through this site is provided on a voluntary basis. Unless expressly stated to the contrary, The Boxer Rescue, Inc. expressly reserves the right to contact any visitor that contacts us through our website. The Boxer Rescue, Inc. reserves the right to study members' and other visitors' movement throughout and use of this site and to inform advertisers of this movement and usage. "Cookies" may be used to perform these tasks and most browsers permit a user to set a preference to accept or reject cookies. *Use of this site constitutes agreement to abide by these policies. The Boxer Rescue, Inc., name and logo and all related product and service names are proprietary service marks of The Boxer Rescue, Inc. No use of any trade names, trade dress and products in this Internet site may be made by any other party without express written permission of The Boxer Rescue, Inc. except to identify the product or services or The Boxer Rescue, Inc. Except as noted above, nothing contained herein shall be construed as conferring any right or license to any person under any patent, copyright, trademark, or other proprietary right of The Boxer Rescue, Inc.
All ideas and views expressed in these pages are ours, other rescues, other writers, friends and family. If you would like to adopt any of them, please email us for permission at info@theboxerrescue.org as not all content is ours to share. We accept no responsibility as to the correctness of information published on this site. Each person assumes full responsibility and all risks arising from use of this site. The names and contact information on this website are published to facilitate contact among those listed for The Boxer Rescue, Inc. purposes only. It is not intended, and we request that it not be used, for commercial purposes. Reference herein to any specific commercial firm, commercial product, process, or service by trade name, trademark, manufacturer, or otherwise, does not constitute or imply its endorsement, recommendation, or favoring by The Boxer Rescue, Inc.